For a long time, drunk on the Polynesian islands, kava kava is becoming increasingly popular around the world especially for its ability to relieve those common modern ills – stress and anxiety. Kava kava which is also known just as kava, piper methysticum or awa is a relatively small shrub which is native to the South pacific Islands. Both its roots and stems are used to make a non-alcoholic beverage that has been consumed for both social and ceremonial purposes by the Polynesians for many hundreds of years. Kava is traditionally made by putting the ground roots and stems of the plant into a sack and the n submerging it in water. After that, the juice is squeezed out into large wooden bowls. It is traditionally served in cups made from half coconut shells which are filed by dipping them into the liquid much like modern punch bowls. The reason that kava is enjoying a growth in popularity in the wider world is mainly due to its excellent calming effects. Unlike alcohol, you can drink it without worrying about becoming drunk. Drinking kava allows for relaxation while your mind remains clear. Apart from being consumed as a drink, kava kava is also available in supplementary form. Some people choose to simply chew the root. There have been some recent controversial health concerns especially regarding its potential toxic effect on the liver but when compared with the damaging effects of alcohol and anti-anxiety medication, these concerns would seem to be exaggerated but more on that later. 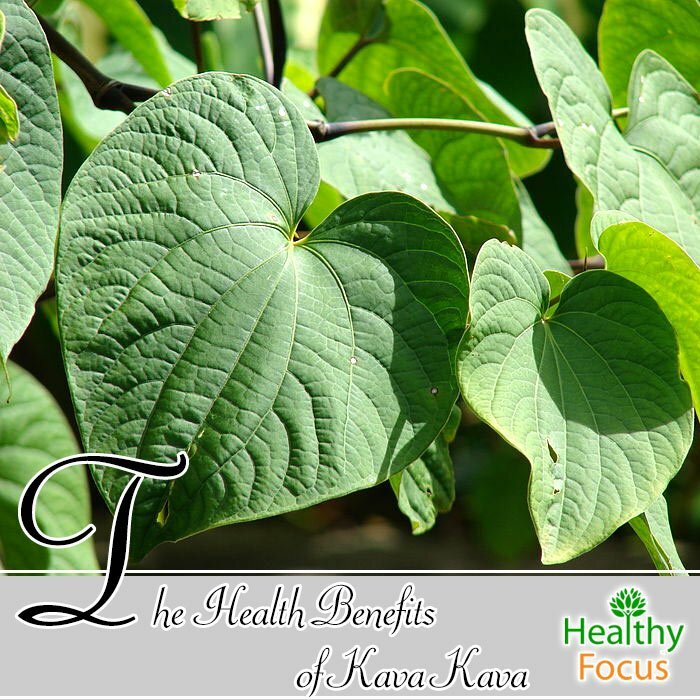 For now, let us focus on the potential benefits that you can get from kava. Ever since the early 1990s, marketing for kava has focused on its ability to treat anxiety, stress and sleep disorders. It contains chemical compounds called kavalactones which are responsible for the plant’s psychoactive abilities. The marketing would appear to be justified with a growing body of scientific evidence testifying that it is an effective remedy for several emotional disorders. Stress and anxiety affects millions of people the world over and because of the inherent risks associated with powerful pharmaceutical anti-anxiety medication, many people are looking for a safer alternative in nature. Many herbs have anti-anxiety effects and research has demonstrated that kava is among the best. This is potentially excellent news for the many people who are fighting with the symptoms of anxiety. Not only does research show that it is safe but it has also compared favorably with common prescription medications to treat anxiety. Many people suffer from sleeping disorders such as insomnia. The inability to sleep well and for long enough can result in a host of other issues from the inability to function at your full capacity to potential serious physical issues down the line. Kava’s ability to stimulate calmness and relaxation makes it the ideal natural candidate to treat your insomnia. Research from Germany showed that people suffering from anxiety related sleep deprivation who were treated with 200 mg of kava a day experienced better sleep quality after 4 weeks compared to the placebo group. Women going through the menopause are likely to experience a variety of unwanted symptoms as their hormone levels create havoc with their body and mind. One of the common symptoms are extreme mood swings and irritability. While hormone replacement therapy is an option, it can be expensive and not necessarily effective so many women are on the lookout for a more natural solution. Kava kava may be an excellent option for menopausal women when it comes to keeping their mood and emotional state in check. It can help your emotional well-being without affecting the function of estrogen which is important to protect against heart disease and bone weakness. While kava is certainly best known for its ability to relieve anxiety and stress, it has some other potential uses. Because it helps relieve stress and stress is often linked to weight gain, drinking kava tea may theoretically help keep your weight in check and protect against obesity. Another positive effect from reducing stress is that you can prevent many of the signs associated with premature aging such as skin damage. When the stress hormone cortisol is released, it can reduce the body’s production of collagen which is an important protein to ensure your skin remains strong and elastic. The theory here is that more stress leads to more cortisol which leads to les collagen which leads to unhealthy skin. The use of kava has proven controversial because of concerns over potential liver damage. However, numerous studies have been done which concluded that it was not toxic to the liver. I am always slightly amused that a country which endorses the sale of alcohol and pharmaceutical drugs gets so bent out of shape when there is even the slightest hint that a natural remedy may be dangerous. Clearly alcohol is damaging to the liver but there are not many parts of the world that will stop you from buying it for your own good. The long term and heavy consumption of kava may result in a rash characterized by scaly skin called dermopathy. There is some speculation that this effect is linked to the manner in which kava interferes with the metabolism of cholesterol. READ What is the Best Valerian Supplement in 2017? This side effect is extremely rare and linked with heavy consumption. It is also reversible when kava consumption is stopped.